Caroline Kennedy Quits Senate Bid; Any Blind Man Could See She was Wrong…. Caroline Kennedy announced early Thursday that she was withdrawing from consideration for the vacant Senate seat in New York, startling the state’s political world after weeks in which she was considered a top contender for the post. Ms. Kennedy on Wednesday called Gov. David A. Paterson, who will choose a successor to Senator Hillary Rodham Clinton, to inform him that she was no longer interested. “I informed Governor Paterson today that for personal reasons I am withdrawing my name from consideration for the United States Senate,” Ms. Kennedy said in a statement released by her public relations firm. Ms. Kennedy believed that the job was hers if she would accept it, the person said, but aides to Mr. Paterson would not comment on whether that was true. Her decision appeared to catch the governor off guard, throwing the Paterson administration into confusion and setting off conflicting news media reports. After frantic talks between the governor’s operation and Ms. Kennedy’s camp Wednesday evening, Ms. Kennedy appeared to waver on whether to withdraw, and was preparing a statement reasserting her interest in the job. But just after midnight, she decided to make clear she was taking her name out of consideration and released the statement saying so. Ms. Kennedy declined to be interviewed. Fare the well, Queen Caroline. Or, as us serfs like to put it: DLTDHYOTWO*! *That’s “Don’t Let The Door Hit You On The Way Out” for those who do not rub elbows with the commoners. CBS News said overnight that Governor Patterson of New York was preparing to name someone else to the vacant seat of Hillary Clinton so Caroline Kennedy withdrew her name. There was also talk that Carolie felt compelled to spend more time with family, especialy her uncle Ted…. Kennedy’s decision caught even some close to her by surprise, and there were conflicting versions last night of what transpired. Sources close to Kennedy said she had decided to bow out for “personal” reasons. But others said she made her move after it became clear Paterson wasn’t going to pick her for the seat. On Friday after weeks of silence, Kennedy agreed to sit down for interviews with The Associated Press and New York City cable TV’s NY1. Over the weekend, she scheduled another round of interviews with other news organizations from the Times to the Buffalo News. The New York Daily News noted she frequently used the phrases “you know” and “um” during the interview, which was skewered in political blogs Monday. “Sad,” he said, of her now infamous interviews with The New York Times, New York Post and other media outlets. “They are running her out there to give New York Governor David Paterson cover to appoint her to Hillary Clinton’s senate seat. By all accounts she is a wonderful woman. But these interviews have been sad,” Mr. Seitel said. And what Caroline Kennedy has said so far she has said badly, You Know? Three New York newspapers all published stories Sunday after interviewing Kennedy a day earlier at a diner in her upper East Side neighborhood of New York City. The New York Daily News painted Kennedy as defiant, quoting her saying she would not be beholden to anyone. The New York Post cast the daughter of President John Kennedy and holder to the Camelot myth in warmer familial tones with headline saying her kids and husband are all aboard a run for the Senate and President-elect Barack Obama is encouraging her. But The New York Times said while Kennedy is forceful, she remains elusive, and noted that she never answered directly whether she would actually run in an election for the Senate seat if she weren’t appointed first. Kennedy said she did think it would be easier for her to hold a campaign of sorts as a way for the public to get to know her before she gets selected by Gov. David Paterson to replace Hillary Clinton, who is likely to join the Obama administration as its secretary of state. ” I think that actually a campaign would be an easier way, because I think it would give me a chance to explain exactly what I’m doing, why I would want to do this, and, you know, and get people to know me better,” she said. A defiant Caroline Kennedy says she “wouldn’t be beholden to anybody” – including Mayor Bloomberg – if she’s picked to become New York‘s next U.S. senator. “I’m really coming into this as somebody who isn’t, you know, part of the system, who obviously, you know, stands for the values of, you know, the Democratic Party,” Kennedy told the Daily News Saturday during a wide-ranging interview. But a strange thing is happening on the way to the coronation. The wheels of the bandwagon are coming off. Fantasy is giving way to inescapable truth. That truth is that Kennedy is not ready for the job and doesn’t deserve it. Somebody who loves her should tell her. Her quest is becoming a cringe-inducing experience, as painful to watch as it must be to endure. Because she is the only survivor of that dreamy time nearly 50 years ago, she remains an iconic figure. But in the last few days, her mini-campaign has proved she has little to offer New Yorkers except her name. The people of Sderot, a small town in southern Israel a few miles from the Gaza Strip, have 15 seconds to take cover whenever the wail of sirens gives warning of another rocket attack. For almost five years, this has been their daily ordeal and Sderot’s bus stops have been specially reinforced to serve as armoured shelters from the regular salvoes fired out of Gaza. With a general election due on Feb 10, no Israeli government could afford to appear indifferent to this threat, especially as Palestinian fighters are deploying rockets with longer ranges and heavier warheads, with some weapons capable of hitting the port of Ashdod 20 miles from Gaza. In all, some 500,000 Israelis live within range of Gaza’s rockets. The political imperative to act undoubtedly lay behind Israel’s decision to launch the attack. It will have weighed most heavily on the minds of Tzipi Livni, the foreign minister and leader of the centrist Kadima party, and Ehud Barak, the defence minister and leader of the Labour party. Both will be fighting the election against Benjamin Netanyahu, the former prime minister from the right-wing Likud party. As they enter this contest, neither can afford to appear anything but hawkish. Yet the scale of the response exposes Israel to international criticism. Almost 300 Palestinians have been killed in the last two days alone. By contrast, rockets fired from Gaza have killed 17 Israeli civilians in the last seven years. Two months after Barack Obama’s election, Republicans are struggling to figure out how — or even whether —to challenge or criticize him as he prepares to assume the presidency. The president-elect is proving to be an elusive and frustrating target. He has defied attempts to be framed ideologically. His cabinet picks have won wide praise. An effort by the Republican National Committee to link Mr. Obama to the unfolding scandal involving Gov. 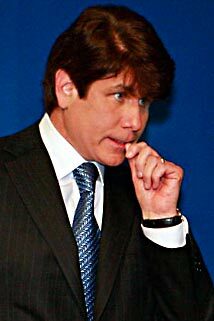 Rod R. Blagojevich of Illinois and the accusations that he tried to sell Mr. Obama’s Senate seat was dismissed by no less a figure than Senator John McCain, the Republican whom Mr. Obama beat for the presidency. The toughest criticism of Mr. Obama during this period — in fact, the only real criticism of Mr. Obama during this period — has come not from the right but from the left, primarily over his selection of Rick Warren, a leading opponent of gay marriage, to deliver the invocation on Inauguration Day. There are plenty of battles ahead that may provide Republicans an opportunity to find their footing. They will no doubt find arguments to use against Mr. Obama when he starts to lay out the details of his economic stimulus plans, or signals how aggressively he wants to fulfill a pledge to labor to back a bill that would take away employers’ right to demand a secret ballot-election to determine if workers wanted to unionize. And Mr. Obama is the beneficiary of the kind of post-election honeymoon Washington hasn’t seen in 16 years. (Bill Clinton, considering his own rocky introduction to Washington in 1992, might argue it has in fact been even longer than that). You are currently browsing the archives for the criticism category.